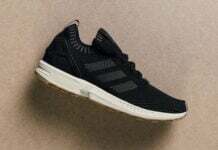 The adidas ZX Flux gets another upgrade. 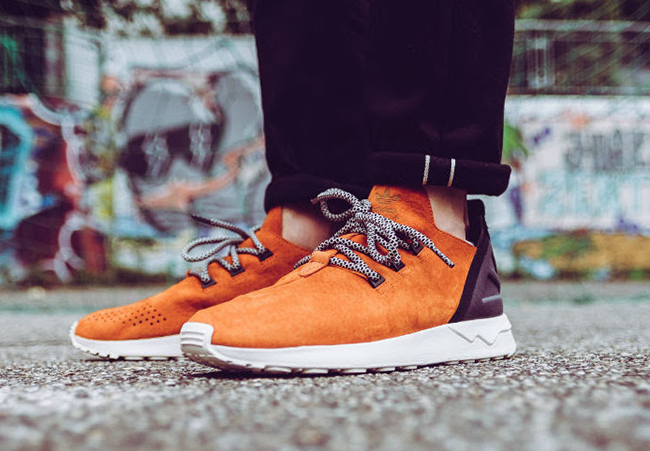 The brand is now launching the adidas ZX Flux ADV X in ‘Craft Chili’ which will hit mass retail locations during October. 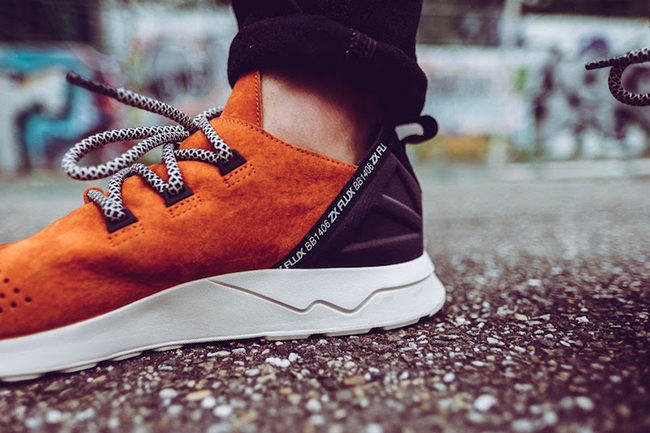 This adaptation of the adidas ZX Flux has a boot like feel to them. 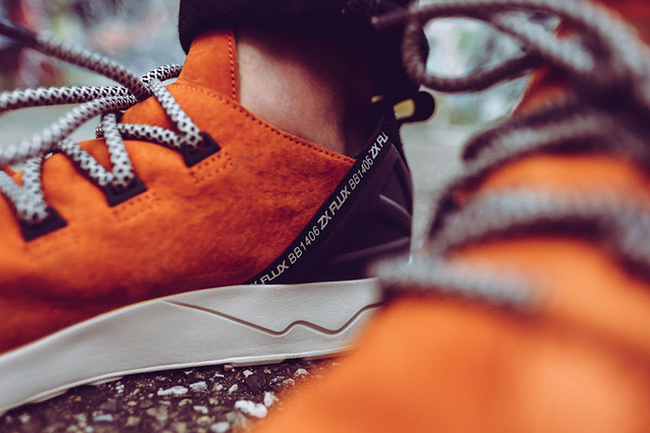 In addition, they are constructed with a handful of materials like nubuck which hits the uppers and suede across the liner. As you can see, Craft Chili which resembles Orange covers the base while a Dark Purple wraps the heel. 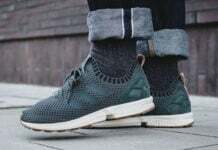 Black detailing is also spotted on the eyelets and outline while a White midsole completes the look. 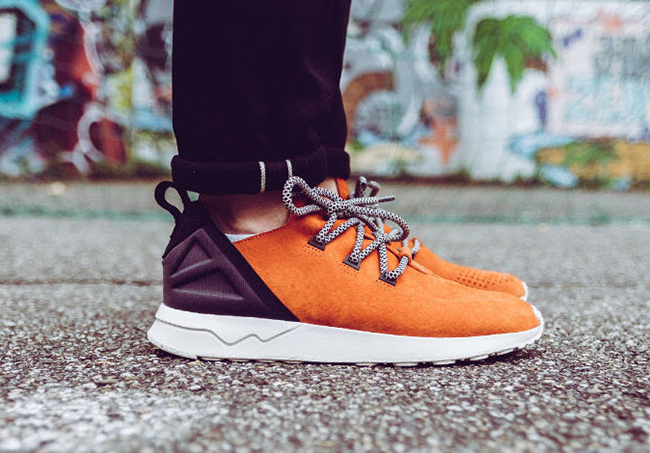 Below you can check out more images of the adidas ZX Flux ADV X Craft Chili which will show you how they look on feet. 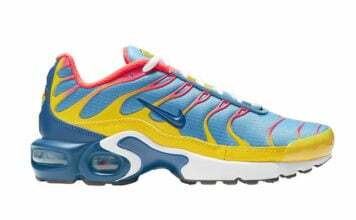 As of now, they are starting to arrive at adidas Originals retailers overseas which includes Inflammable.